Winners of 2017 parade, Brad and Elaine Brown plus friends! The SBR Holiday Parade is scheduled for Friday, December 14. 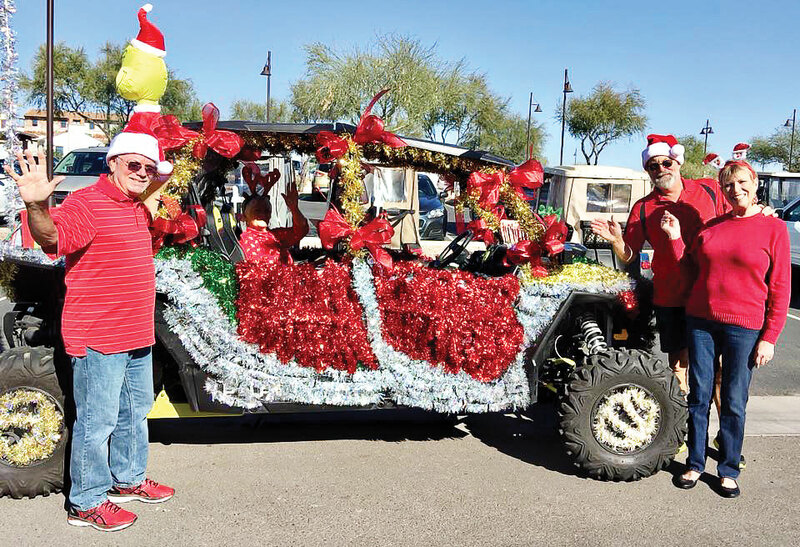 Start planning your award-winning decorated entry for either your electric cart, bicycle or ATV. Each year the decorations for Christmas or Hanukkah get more creative. More details will be released in early December on how to register, start times and route around the community. Get your thinking caps on to plan the best ever entry. Prizes will be awarded. If you have questions, contact Linda Shannon-Hills at Linda@shannonhills.net.